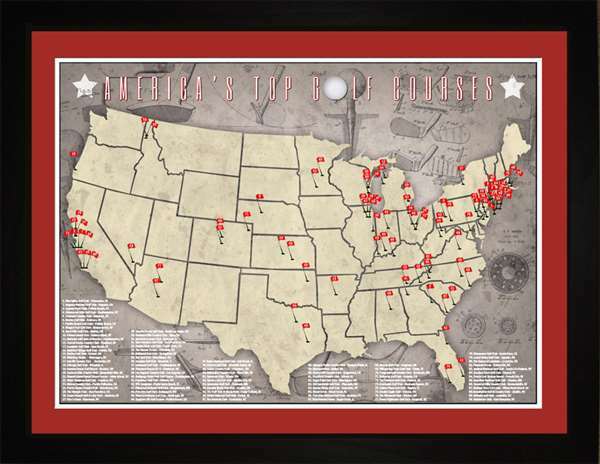 Track the top US golf courses that you have played! 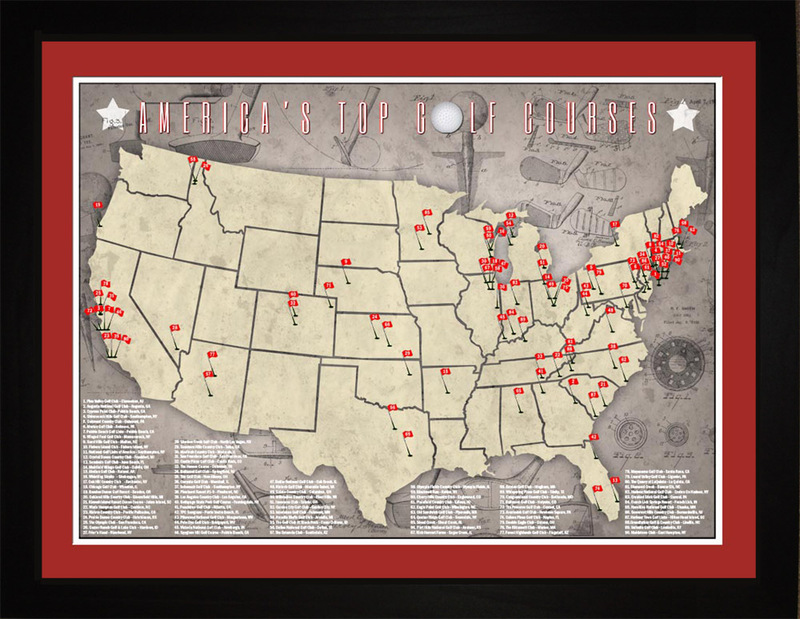 Gorgeous, full-color map showing the top courses ranked by Golf Digest and their locations. Makes a great golfing gift! Very happy with my order, customer service was excellent. I wanted a map without the flags and glass and your company accommodated my request. This is a special Christmas present for my Sweetheart and I know he is going to love it! Chad was very helpful over the phone as well.